The style of design is defined by minimalism where Detail is in Simplicity or rather Simplicity is in Detailing. It has left the space so understated yet detailed to not cross the line and make it stark! The Design has an absolute International Appeal to it which fits in brilliantly for a Fashion Design instate with its Roots in Milan. Spread over 1000 sq.ft. 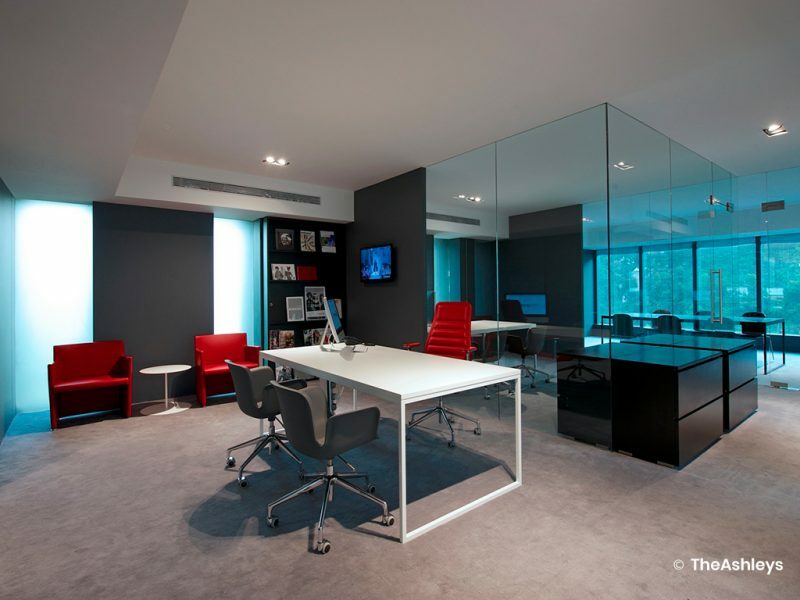 This Fashion Institute Office has been designed on Minimalistic lines yet keeping it very stylish. The project has been done in collaboration with the principal design team of Marangoni. The entire Space has been Wrapped with a Neutral Palette of Grey which wraps the space from the floors to the walls to make it look Seamless and bring in a strong Sense of Continuity through the Whole Office. Fine detailing like the Camouflaged Store Room for the chairs and Full Height Storage spaces detailed to become a part of the Grey wall Canvas merge space add strength to the minimal accent of the design. 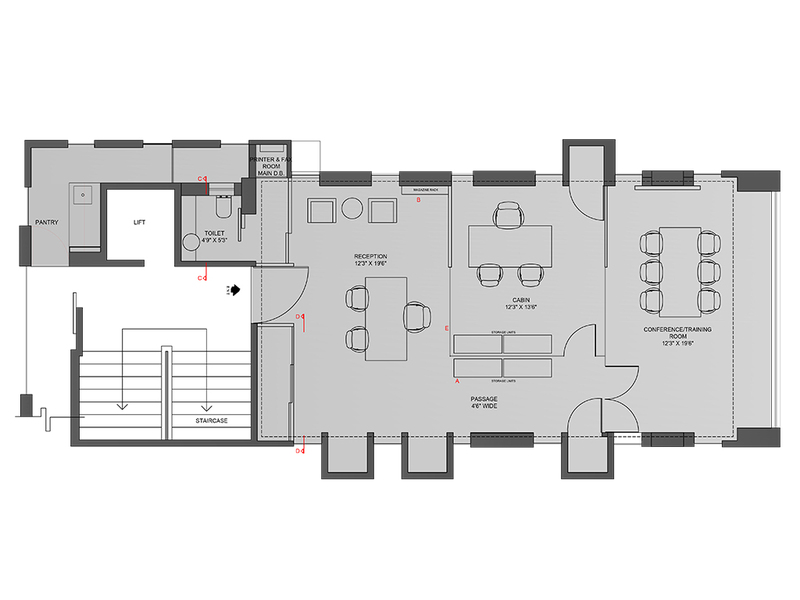 It has been planned in a conventional way, placing the reception at the entrance followed with the cabin and the conference/training room towards the extreme end. Glass has been introduced to make the space look more spacious. The furniture in the conference room has been intelligently designed to bring in flexibility and use the same space for training, the table moves to the side and the additional stackable chairs are lined up effortlessly to set up the room for a seminar. The design has been kept understated and minimal but extenuated with a dash of colors of furniture. 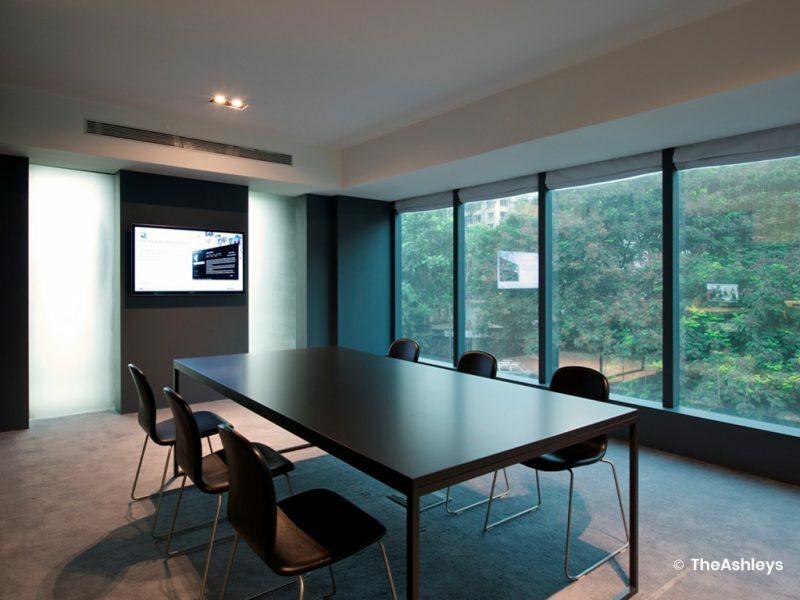 The entire space has been wrapped with a neutral palette of grey which wraps the space from the floors to the walls to make it look seamless and bring in a strong sense of continuity through the whole office. Finer detailing like the camouflaged store room for the chairs and full height storage spaces become a part of the gray wall canvas, merging with the space, adding strength to the minimal accent of the design.